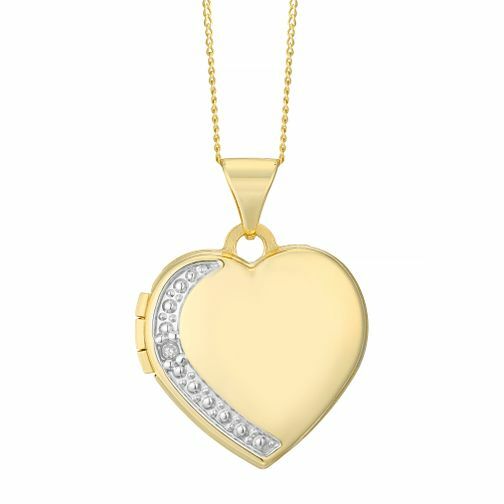 9ct Yellow Gold 0.045ct Diamond Edge Heart Locket is rated 4.5 out of 5 by 2. Rated 4 out of 5 by Anonymous from The product was exactly as described although I personally imagined it to be slightly bigger. My partner loved recieving the pendant and although we had to buy a bigger chain to go with it as the provided one wouldn't fit around anyone's neck, it is a lovely pendant. Rated 5 out of 5 by Anonymous from Gold Heart Locket Amazing purchase. In memory of my Gramps. 100% quality and made my mums christmas.